Sunup to Sundown! You can rely on Adidas' longevity as you would the sure rising and setting of the sun. 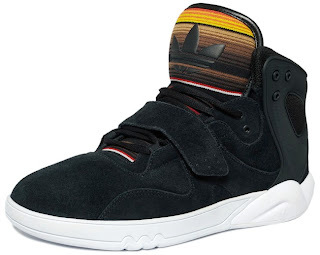 Adidas delivers another winner with their Roundhouse Mid sneaker with a transitional dusk till dawn kind of tongue. Incredibly comfortable with a cool print on an often under utilized area of hi-tops, this Roundhouse mid is a crisp looking update from a footwear classic. Available now at Adidas.com.